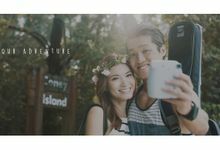 If you’re looking for a wedding videographer, look no further, Chocolate Door by Hanpin is definitely the one to go for! A professional videographer and trustworthy friend who goes the extra mile in every single process of the wedding video journey, he made sure to meet up for a pre discussion on pertinent stuffs to take note of and our preferences. On the actual day, he arrived early and made the entire videography process a fun and enjoyable one for all our brothers, sisters, friends and family. Despite the short time frame for the same day video to be shown before our second march in, he made an amazing one, leaving many of our friends impressed and telling us about plans to engage our wedding videographer. Everything went like clockwork for the videography. He was really dependable and I felt very assured with him capturing all the once in a lifetime moments of our big day. He was not calculative even as we did overshot a little on time! His talent in visual arts really shows through in the videos he makes. After our wedding, he met us and gave a documentary of the entire wedding process on that day, something which was extremely important for us as we did not notice many of the other details while busy with hosting and the day’s event flow. He also gave a nicely made photo frame with video stills which serves as a great physical momento for our big day! With him as our videographer, not a single moment which we planned for was missed. 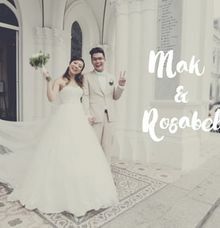 Even though some time has passed since our wedding, our family and us still look back on the actual day video and the longer documentary to reminisce the moments. A very thoughtful gesture which we will appreciate a lot for a long time to come. Indeed, as with many wedding services, the devil is in the details. Wedding videography in particular for us, added a touching and lively element on the day itself. Many of the small little thoughtful gestures and small things done right has created a truly memorable experience for us and our loved ones. Will definitely refer all my friends to him for wedding videography! 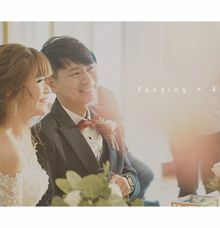 Hanpin was the perfect videographer for us, with his artistic vision, technical skills and qualifications in cinematography. We engaged him to film our gatecrashing, solemnisation and wedding lunch. He took the time to chat with us before the wedding. He also generously stayed beyond the allocated time to capture key moments during the wedding lunch. The results: a fantastic highlights video, and a longer documentary-style video which we really value. Highly recommended! Hanpin is a rare jewel of a find - we were blessed to chance upon his work and met up to discuss engaging him as our holy matrimony videographer. He was nothing short of professional, hardworking, accommodating and talented - our initial impressions of him all found to be true when we saw the final product! Hanpin paid extreme attention to detail and possessed the ability to capture the moment, inject the magic of the camera - and at the same time consideration of our requests/concerns was en pointe. We especially appreciated the fact that working with him was so effortless with his easygoing and kind demeanour (definitely helped with wedding jitters!). Thank you Hanpin!! Highly recommended! We engaged Hanpin as our AD videographer after seeing his impressive portfolio, and we have never regretted this decision! We held a lunch banquet and Hanpin was able to deliver the morning highlights before our 2nd march in. We absolutely love the video (which also received praises from our guests) and were beyond impressed by his talent. Hanpin has to be the most passionate and earnest videographer we met and has the amazing ability to string the various clips up into something so beautiful and magical. Thank you Hanpin for helping us preserve such precious memories! Despite our awkwardness in front of the camera (mine mostly), Han Pin did his best to make us feel comfortable while fulfilling his professional responsibilities. The aw's and laughter you hear from your guests while you're waiting nervously outside the hall to march in, definitely helps with calming the nerves and for me that's money well spent! My husband and I were glad that we chose Han Pin to be our videographer for our wedding day. The video was beautifully filmed and edited and out guests really enjoyed it too. Would recommend his services to any bride to be! Yes We will ensure that a replacement videographer is present on the wedding day if such event occur. This will be stated in the terms as well. No Raw footages will not be provided to the client. Yes Ideally, we will love to meet the couple before any confirmation. We believe that moment should not be scripted not directed. However, we will give directions for specific activities - veiling, tea ceremony, etc where sometimes the couples and families might need some guidance. Our business started in 2013. 30% upon confirmation of contract. Remaining to be settled upon delivery of videography service. Ideal time would be between 6-12 months. Ranging from half to full day. We love memories and am well aware that nothing is more incredible and beautiful than special moments. We know how much your wedding moments will mean to you in the years to come. 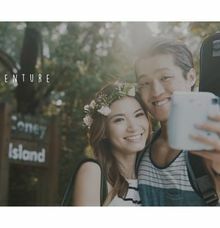 We take great care in crafting your personal wedding video frame by frame, ensuring that it is unique and professionally edited. Realising just how important your wedding is, we will continue on after the wedding day for many more hours, editing & seamlessly weaving your unfolding story.